Home / Political News / Current News / Is Dahal true nationalist? 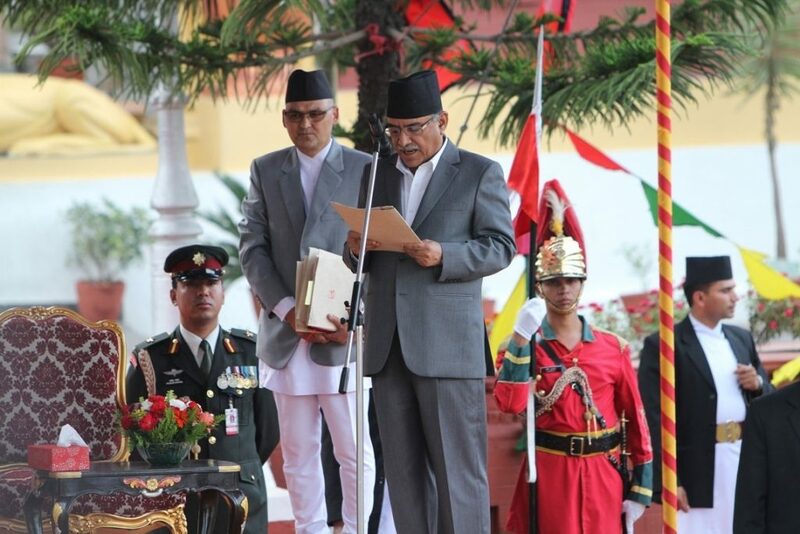 Prime Minister Pushpa Kamal Dahal presents himself as a true nationalist while delivering his speeches. However, in practice he does not look a nationalist. It is evident from his rejection to wear Daura Suruwal while taking the oath of office. His prejudice against the national attire had also drawn criticism when he became prime minister in 2008. His dislike to Daura Suruwal was one of the causes for the diminishing popularity of Dahal himself and his party. However, this time many had expected that Dahal would give up his anti-Daura Suruwal ego and would appear in national dress. But he only disappointed many. When Vice President Nanda Bahadur Pun who is also a leader of CPN-Maoist Centre wore the national dress, people had hoped that Dahal would also wear it. But he rejected forcing people to put question mark regarding his nationalistic attitude. His move to pull down the K P Oli-led government itself was portrayed as the Indian design. Of course, Dahal, who criticized India terming it as ‘Prabhu’ after the fall of his government in 2009, have been serving the Indian interest right from the time he launched the violence in Ilam. He stayed safe in New Delhi and mobilised the Maoist militants to kill innocent people and attack the police and army barracks in Nepal for nearly nine years. He is said to have good relations with RAW, the intelligence service of India and this time he became the PM with the Indian support. As such, Dahal looks nationalist only in his rhetoric. His future acts will also show whether he is truly nationalist or a nationalist only in disguise. The Nepalese people do not have to long to unmask Dahal’s true face.